“It’s called three poems and three suicides,” Matthew Dickman said matter-of-factly about the title of his upcoming poetry recital. 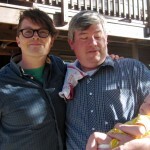 He’s a poet from Portland, and at the Idyllwild Arts Summer Program this week to teach an adult poetry class. On Tuesday night at 7 p.m., Matthew will read along with four other poets at the Krone Library on campus. Matthew has firsthand experience with suicide, which is often considered a taboo subject in our culture. His older brother committed suicide, along with several of his friends who were artists. In past lectures on suicide, Matthew has asked members of the audience to stand if they have had a family member commit suicide. A few stand up. Then he asks those who had a spouse, lover or close friend commit suicide to stand. A larger group stands up. Then he asks those who have known someone from school or work who have committed suicide. Violence was more common than not in the working class Portland neighborhood where Matthew grew up. His family home was a safe oasis for many kids, away from the neighborhood violence. At a young age, Matthew identified with a photo of the Beat Poets standing on a San Francisco street corner. 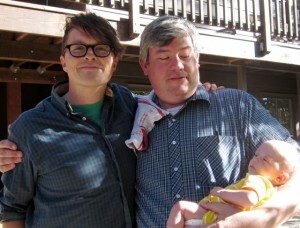 Later on, Matthew met Alan Ginsberg at a book signing in Portland. “My brother handed me a bunch of Ginsberg’s books and told me to get them signed, and we’d meet up at the coffee house later,” Matthew said. So he went, and when it came time for him to meet the Beat Poet, Matthew mentioned that his writer aunt had once worked with Ginsberg in a hospital. “He ignored my comment, and instead asked me about my love life,” Matthew said. He fumbled for an answer, Ginsberg signed the books and Matthew walked away. When the crowd thinned out, Matthew ended up talking to Ginsberg, and invited him to join his twin brother and friends at a local coffee shop. Ginsberg was in his 70s at the time, and Matthew was 18. “He was totally cool,” Matthew said of the experience. They read poetry, practiced Buddhism and ate chocolates over the next few days. He said that he and Ginsberg had kept in touch by email and phone until he became sick. “Then I never heard from him again,” Matthew said. In his poetry class this week, Matthew prefers to put the suicide topic front and center so there’s no surprises. He said most of the adults who take his class come to heal from the experience. But he hopes to help them turn their harrowing experience into art. Matthew said that he met Ed Skoog, who is in charge of Poetry Workshop during the Summer Program, when he officiated at his brother’s wedding. “Not only can Ed write poetry, but he plays a mean banjo,” Matthew laughed. Besides teaching poetry, Matthew edits a national poetry journal, and freelances for advertising agencies. Only just recently, he said, he’s been able to support himself through his writing. He started writing poetry when he was a sophomore in high school to impress a senior who was interested in poetry. Since then, Matthew has won many awards, and garnered national attention for his lyrical poems. On Tuesday, July 17, Matthew will read some of his works at 7 p.m. at the Krone Library on the Idyllwild Arts campus (located at the end of Tollgate Road in Idyllwild). 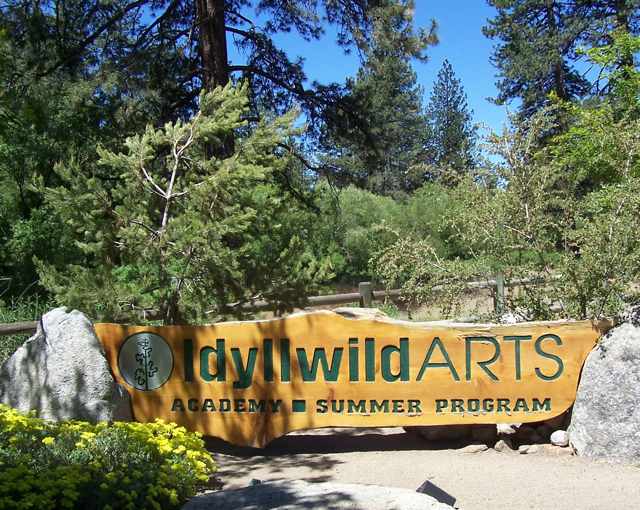 Like all events at Idyllwild Arts, it is free and open to the public. 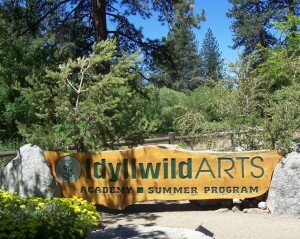 For more information, contact Idyllwild Arts at (951) 659-2171 or visit www.idyllwildarts.org. 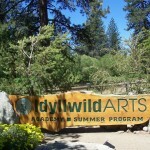 This entry was posted on Sunday, July 15th, 2012 at 11:43 pm and is filed under Idyllwild Arts Summer, poetry. You can follow any responses to this entry through the RSS 2.0 feed. Both comments and pings are currently closed.